Through the market, down Court Street and then up Church Street. The graveyard path takes you to the Masonic Lodge at the Old Grammar School. 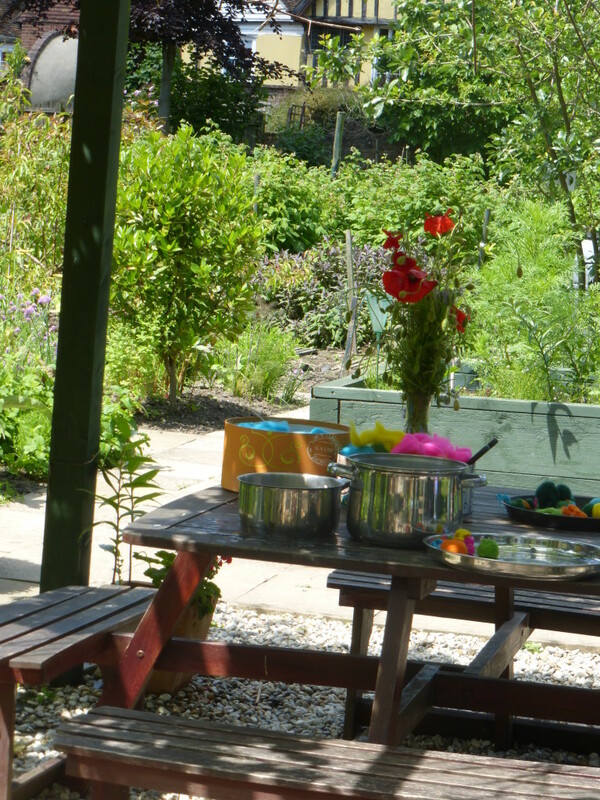 The gate to the walled garden next door opens into a secret world of pond dipping, dead hedges, flowers, vegetable garden and a refreshment stop. Always a fabulous haven in the centre of town. 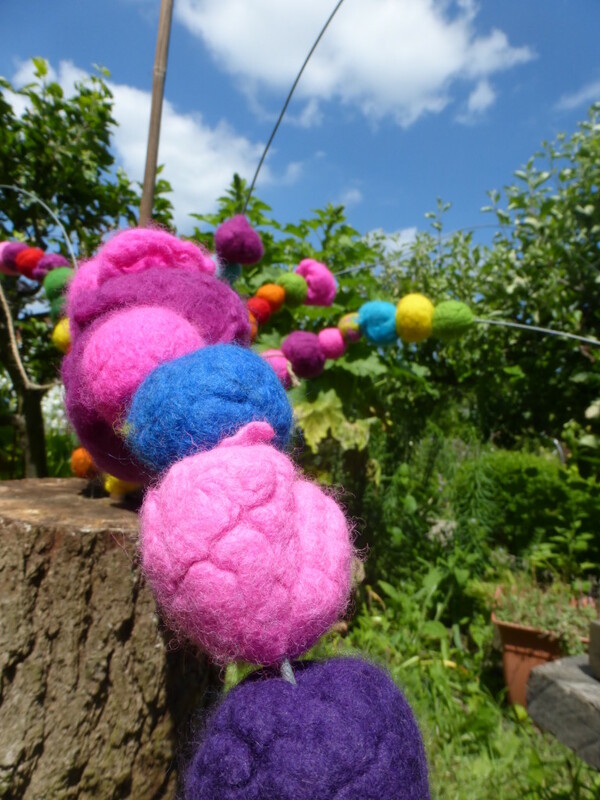 We were invited to join in the Chelsea Fringe fun by making baubles for the felt tree sculpture in the garden. 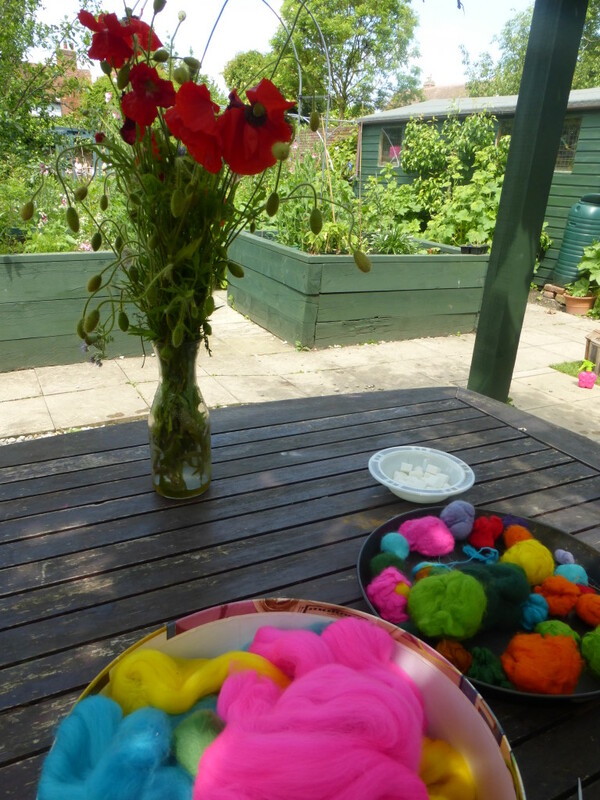 Vibrant wool took its place next to a jug of scarlet poppies. We were shown how to dip the wool in warm water, scrub it with soap, roll it into a ball and leave it to dry. Threading the balls onto the tree was quite tricky, but worth the effort! Julie, we are glad you found us and had an enjoyable time. Thank you for coming and joining in. Beautiful photos. Thank you. 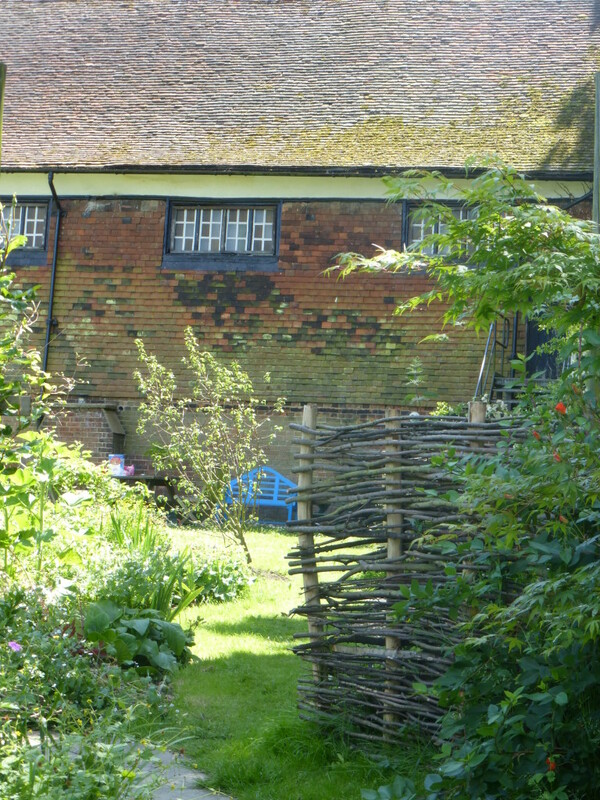 One of my favorite places in Faversham – see you soon!